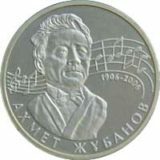 Date of issue: 25 May 2010. 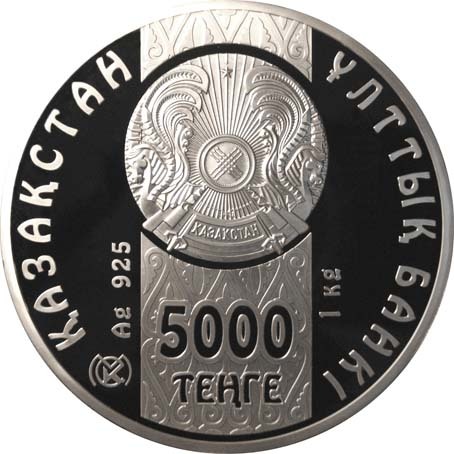 Averse: State Emblem of Kazakhstan on ornamental background, face value of the coin “5000 TENGE”, name of the issuing bank in Kazakh “NATIONAL BANK OF KAZAKHSTAN” along circumference, trade mark of Kazakhstan Mint, “Ag 925” means metal and standard of coinage, “1 kg” means weight of the coin. 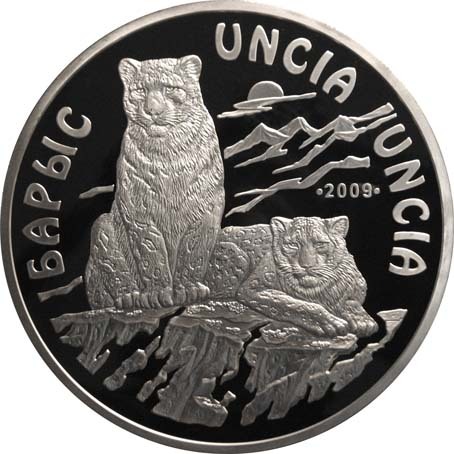 Reverse: ounces against stylized mountain background, year of coinage “2009”, name of zoological species in Kazakh “SNOW LEOPARD” and in Latin “UNCIA UNCIA”. 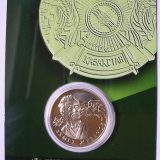 The coin comes in capsule with certificate of authencity (COA) and in original wooden box.